Lovely couples from China, Sherry and Eric Doing fun dives with us We'd like to give our official congratulations to two of China's newest Open Water divers. Rin and Shin passed their course with flying colors! 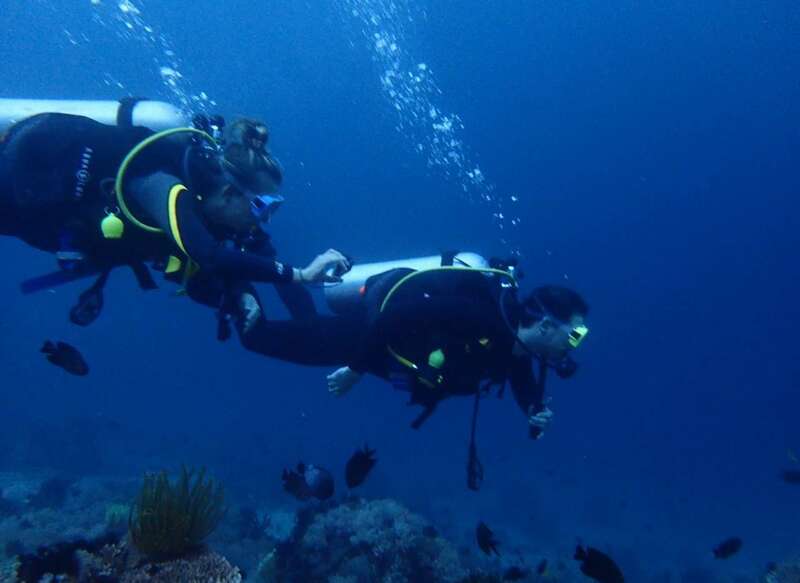 Nahuel and Shana completed their Advanced Open Water Certification Couple that dives together stays together. Shana taking pictures of a turtle Nahuel completed his Advanced open water certification while his girlfriend Shana doing fun dives. Two sisters…One trip back home!